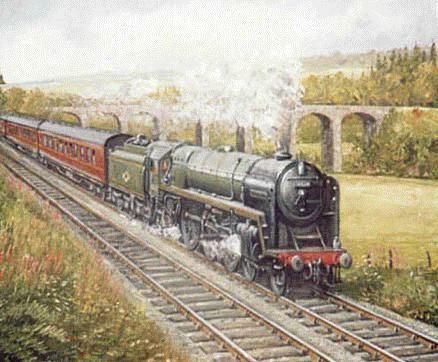 Ivatt Class 4MT 2-6-0 No 43139 enters Longtown on a Langholm to Carlisle train. 43139 was a regular engine on these workings. 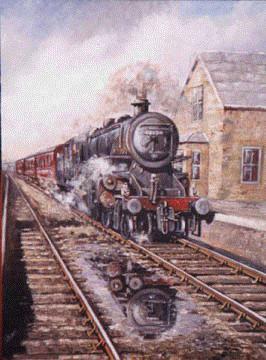 A Class A4 'Pacific' emerges from Whitrope tunnel on a southbound Waverley Route express. 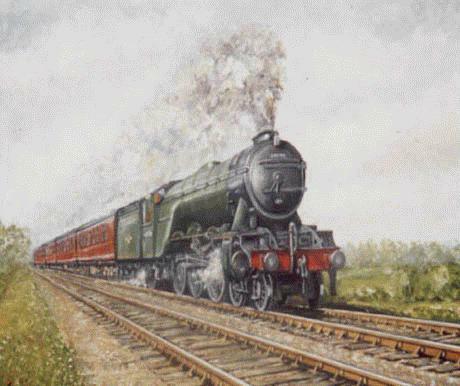 A Class A3 'Pacific' on a northbound Waverley Route express. 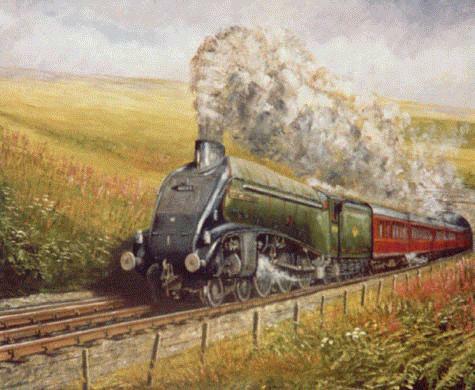 A BR Standard 'Britannia' Class draws away from Riddings Junction on a northbound Waverley Route express. In the background can be seen the bridge carrying the Langholm Branch over the Liddel water into Scotland. All these pictures are © William Ewart and used with grateful thanks. Electric Soup © I.W.Logan MCIT 1998-2000. Last updated: 04 Feb 00 at 1440GMT.